The Nexcopy USB duplicator is an excellent investment for any business that needs to distribute data! That’s because it lets you easily and quickly duplicate data on flash drives, up to 20 at one time! Thanks to its advanced features, small footprint, and simple to operate software, data distribution is just a short process away with this USB duplicator. Make copies from the comfort of your own office with the Nexcopy USB 200 PC connect 20 port USB duplicator! 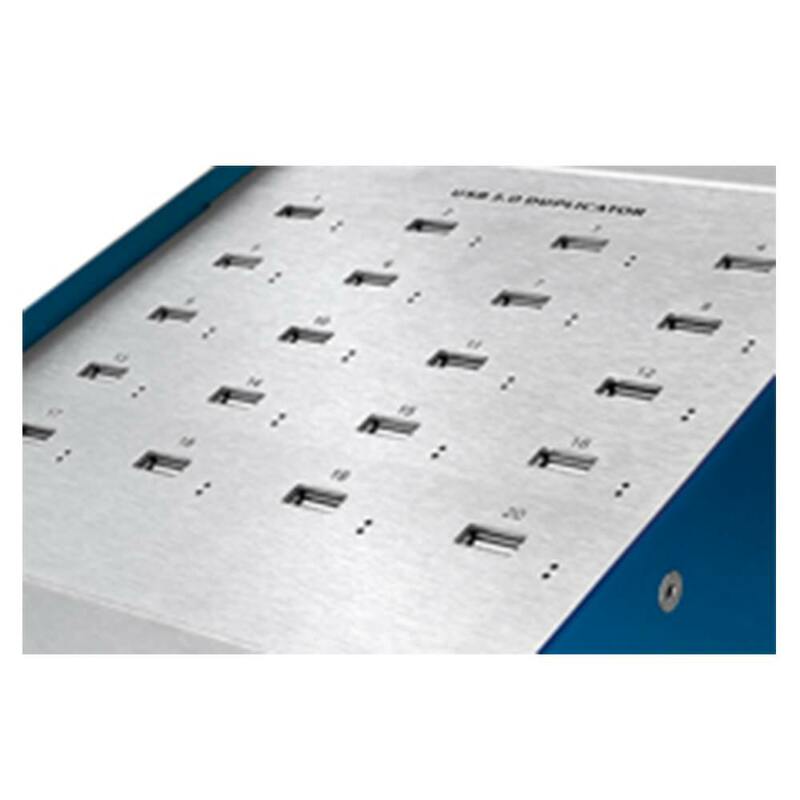 Its 20 ports are USB 2.0 compatible, which is backwards compatible with USB 1.0. Rapidly disperse data, operating systems or software, and other information to your clients or employees with USB drives. This machine requires 1.8 dual core processor or 2.3 GHz processor, 1GB RAM –2GB RAM ideal, Windows XP (SP2), 2 USB 2.0 high speed ports, and Windows.NET installed. Use any drive size with any manufacturer. Copy up to 20 flash drives at a time. 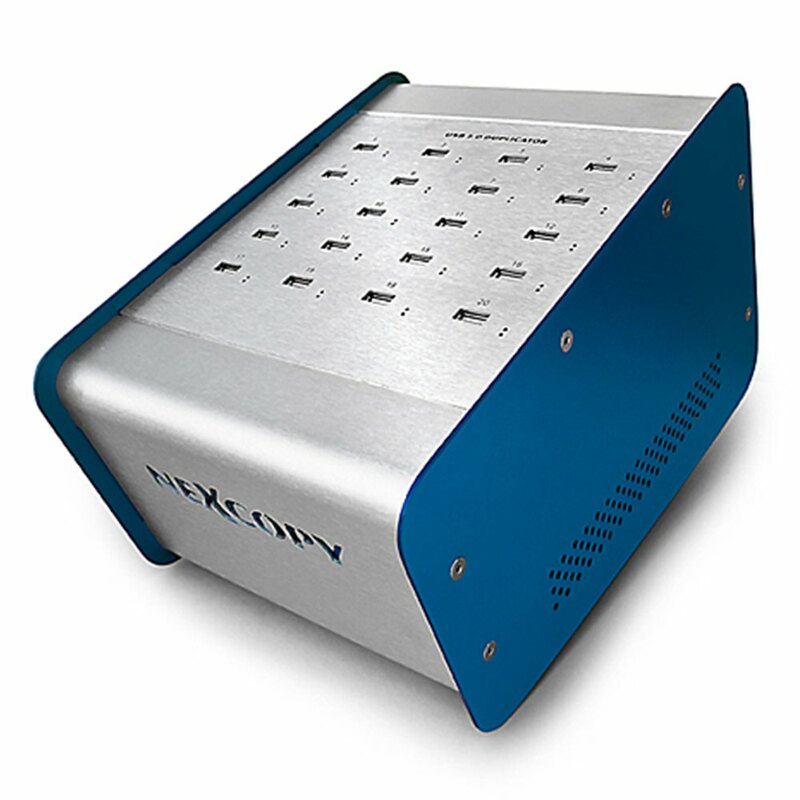 Save time and money and gain control over your data and production with the Nexcopy USB 200PC USB drive duplicator! *Laptops are not suitable as host PC.